The prices we quote on our price lists are normally fixed and include x-rays and other diagnostic procedures etc. so the price you see is the price you pay. In a small number of cases including implants and where the tooth to be treated has a poor prognosis, additional steps may be needed in the treatment plan. In such cases, you will be advised of the additional costs before the treatment begins. From time to time, we review our prices and these may change without notice. You can always see our up to date price list on our website (www.allcleardental.co.uk) and can pick up a paper copy from our practice. If our prices increase mid way through a course of treatment, we will complete your treatment at the originally agreed price, providing that the treatment is completed within three months of the date of the price change. 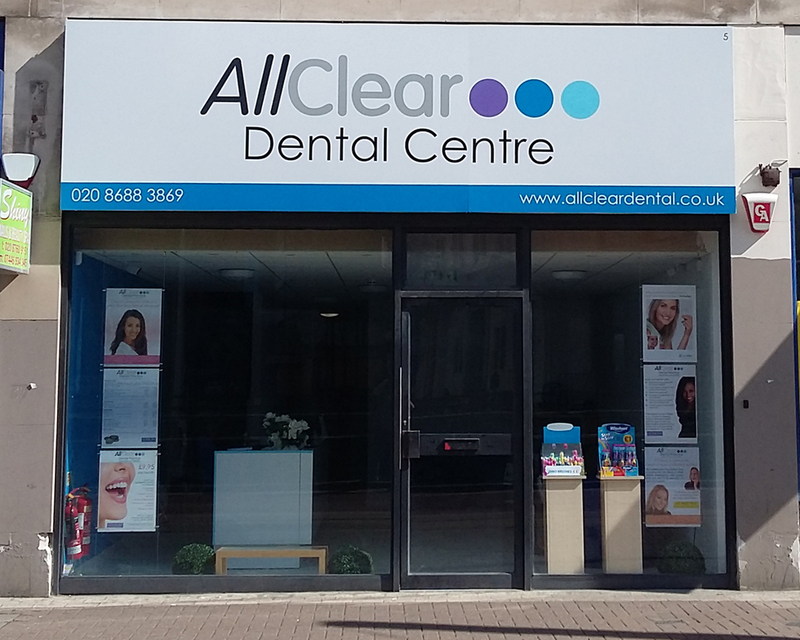 AllClear is an independent practice and does not offer NHS treatment. As a result, we will ask you to pay in full for each stage of your treatment as it is completed. If you are undergoing treatment which requires more than one visit, we will normally ask you to pay 50% of the cost on commencement and 50% on completion. Our treatment is normally guaranteed for a period of twelve months. This means that if any treatment undertaken here fails within twelve months, it will be repaired or replaced without charge. Treatments such as temporary fillings or crowns which are only designed to last a few days until full treatment can be undertaken. Failure of the treatment/restoration through injury, misuse or, in the case of removable dentures, accidental damage while not in use. If you are unable to attend your appointment, we ask you to let us know no later than 48 hours before the scheduled start time of your appointment (24 hours if the appointment is for one hour or less). This is to give us sufficient time to reallocate the appointment to someone else. If you do not give sufficient notice, or fail to attend your appointment, it is unlikely that we will be able to find another customer to fill the appointment slot and, therefore, we may apply a charge to your account to cover our costs. The level of charge for this is set out on the reverse of our current price list and will normally be deducted from any deposit you have paid. If you have not paid a deposit, or the deposit you have paid is insufficient to cover the charge, you will be asked to cover the shortfall before treatment continues. We normally ask for payment of a deposit to reserve your appointment slot. The amount of the deposit will vary according to the length of the appointment being booked. These deposits are normally fully refundable up to 48 hours before the scheduled start time of the appointment (or 24 hours if the appointment is for one hour or less) but, where the treatment is being undertaken by a visiting specialist your deposit will not normally be refundable. Your treatment will normally be provided by the practitioner of your choice. In the event of unforeseen absence of the practitioner, we may, at our discretion, arrange for a suitably qualified practice colleague or locum to undertake the treatment. If you decline treatment by the alternative practitoner, then our normal cancellation rules will apply.